Jim "JR" Ross and Jerry "The King" Lawler formed the most iconic broadcast duo in professional wrestling history. During the Attitude Era, the most famous of its kind, JR and The King took over the TV screens of millions of fans watching around the world. From broadcasting matches of Stone Cold and The Rock, to Chris Jericho and Mick Foley, their voices are synonymous with the Attitude Era. The duo recently worked together at Wrestlemania 34 in New Orleans, LA and at WWE's Greatest Royal Rumble in Saudi Arabia. 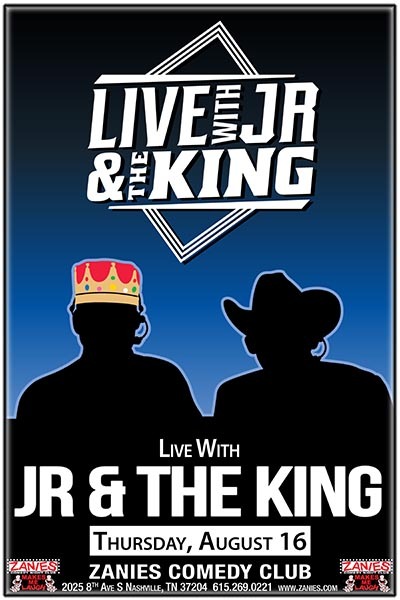 "Live with JR & The King" is a unique and comprehensive two-man show that offers fans an in-depth perspective of the world of professional wrestling. Commencing with story-telling of wrestling’s past and present, the show transitions to a no-holds barred, unfiltered Q+A. Jim Ross, or famously referred to as "Good Ol’ J.R.", has been one of wrestling’s most influential figures over the better part of four decades, both as an executive and as the most recognizable announcer in the business. Known to sports entertainment fans around the world as the Voice of Professional Wrestling, J.R. has traveled the world and had a ringside seat for some of the most amazing moments in pro wrestling history. JR's weekly podcast on Westwood One is one of the top podcasts in his respective categories, while his autobiography, SLOBBERKNOCKER has been atop the Amazon’s Pro-Wrestling category for over a year, further cementing his status as a NY Times Best Selling Author. Jerry "The King" Lawler has been a featured figure within sports-entertainment since the 1970s, as the pride of Memphis, Tenn. He has entertained fans most notably from the announce table as Raw’s most irrepressible broadcaster alongside JR, as well as a prominent in-ring competitor.